This year seems to be an exceptional year for berries. The blackthorn bushes in the fields are covered in sloes, I have never seen them so full. 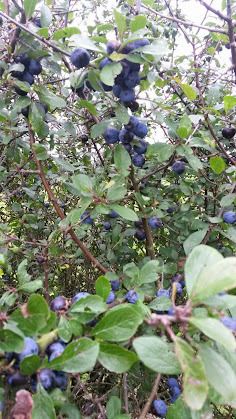 As there were so many we decided to go and pick them and make some sloe gin. We picked a carrier bag full and there are still hundreds left on the bushes. 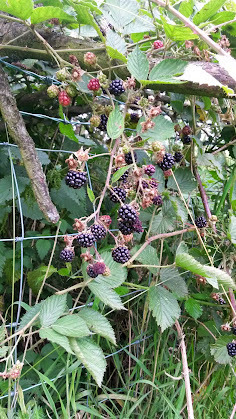 As well as sloe picking we also picked some blackberries, again the hedges were full of them and they were all fat and juicy. 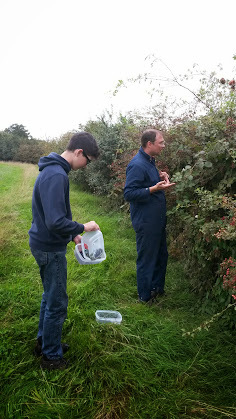 We ended up picking two plastic boxes full and had a lovely blackberry crumble for tea. The rest we will freeze and use over the next couple of months. 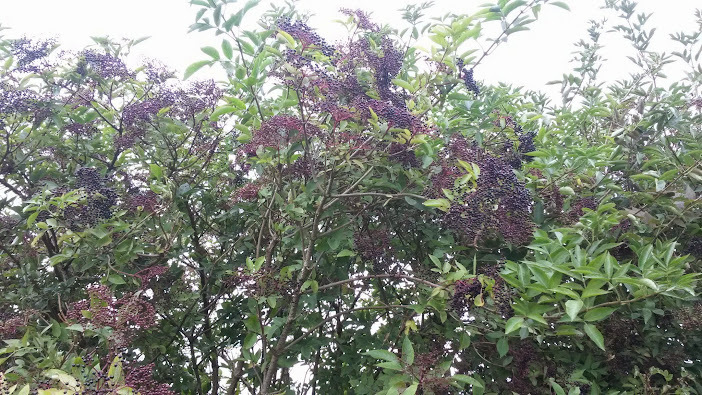 The elder bushes were full of berries too so we are going to go back and pick some of them and then make some elderberry cordial and jelly. 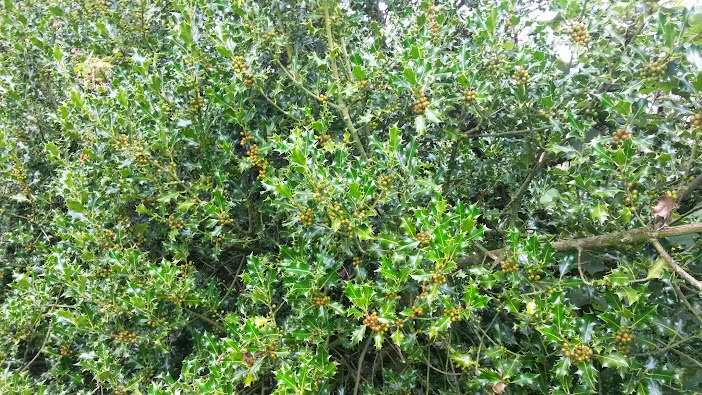 I also noticed that the holly bush was full of berries, the berries are still green yet but they will look stunning once they turn red.